My sister Malu has visited UK for several times already because she's working with a UK-based company, FINANCIAL TIMES up to this time. She's fortunate to make some trips while she was there back in 2007. I, for one is truly fascinated with the thousand year old architecture. Dating from about 3000 to 1600 BC, Stonehenge is the best preserved structure remaining from the late Neolithic, or New Stone Age. Situated north of Salisbury, in southern England, it contains a remarkable collection of prehistoric monuments. For centuries the ponderous complex of stones was enshrouded in myth. 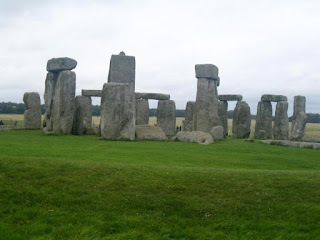 In the 17th century, the English antiquary John Aubrey proposed that Stonehenge was a temple built by Druids, the priests of the pagan Celts who came to Britain in the centuries immediately preceding the Christian era. However, the theory has been disproved in the 20th century by modern archaeological techniques. It is now known on the basis of careful research, that its construction preceded the arrival of the Celts in Britain by more than 1,000 years. The enclosure survives from the earliest phase of Stonehenge. Defined by a bank and ditch, its main entrance was carefully aligned to face the midsummer sunrise in one direction and the midwinter sunset in the opposite direction. By about 2500 BC, huge sarsen stone came all the way from north Wiltshire and smaller bluestones from west Wales. This marked the beginning of over 800 years of construction and alteration stretching into the period known as the Bronze Age, when the first metal tools and weapons were made. . By this time, Stonehenge was the greatest temple in Britain, its banks, ditches and standing stones arranged in sophisticated alignments to mark the passage of the sun and the changing seasons. Neolithic herdsman-farmers who came to Britain in about 2200 BC and later merged with invaders from the Continent known as the megalith builders. The date of the first Stonehenge construction has been fixed between 2100 and 1600 BC by radiocarbon dating of charcoal samples found at the site. Builders of Stonehenge were apparently influenced by architectural techniques employed in the great cultures of the Mediterranean. The dressing of the sarsen stones, for example, included the highly sophisticated refinement known as entasis, a technique whereby optical illusions are corrected by deliberate distortion. Stonehenge was just one part of a remarkable ancient landscape. Hundreds of burial mounds clustered in the surrounding hilltops, while smaller temples and other ceremonial sites were built nearby. It has inspired people to study and interpret it for centuries. Although information pertinent to the dates and construction of Stonehenge has been slowly pieced together by archaeologists and geologists, the larger question of why it was built has persisted. The most startling theory concerning the original purpose of the monument was offered in 1963 by Gerald S. Hawkins, a British astronomer. Noting the narrowness of the trilithon openings and the obvious alignment between those openings and certain other stones and spaces in the monument, he speculated that the entire structure might have served its builders as a huge transit instrument, its uprights and openings pointing to stars or planets.. he calculated the compass directions of about 170 pairs of positions, as between stones, stoneholes and trilithon openings, and gathered data relative to the positions of the heavenly bodies in 1500 BC: all of this information he fed into the computer. The computations showed at once that there was no correlation with the planets or stars, but revealed 24 close correlations with solar and lunar positions. Moreover, all 24 principal alignments were with key locations on the site, such as the Altar Stone, the arches, the Avenue, the station stones and the two stones near the entrance. One of Hawkins' more startling discoveries concerned lunar eclipses. He showed that the midwinter full moon is eclipsed over the heelstone three times in a 56-year cycle, at intervals of 19, 19 and 18 years. He theorized that the 56 Aubrey holes originally held a set of stone markers, and that the markers were moved one hole each year to record the progress of the eclipse cycle. But even with the evidence that archaeology and modern science provide, not all fundamental questions about it can be answered. Stonehenge will always keep some of its secrets. Today, visitors experience Stonehenge as a wonder of ancient achievement. The only visible elements of it are the stones themselves. Some are small, unshaped or broken but many are massive, finely worked and intact. Mystifying indeed! Thanks for the info you've gathered. I've always been fascinated with ancient cultures and ancient ruins. At isa ang stonehenge na gusto ko talagang mapuntahan ever since nung elementary pa lang ako. hopefully one day i would get to see it too. Amazing! And all that work by archaeologists and geologists... Mind blowing! Can't believe these "stones" are actually high tech, when you look into its purpose. 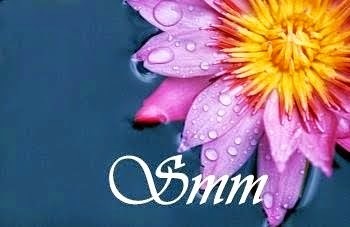 Did you make a wish? 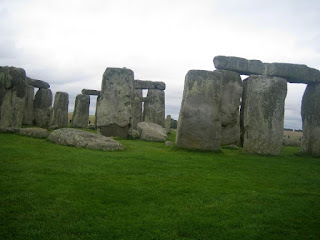 Kasi sabi ng cuzin ko pina wish sila ng tour guide nila s Stonehenge! good thing you got pictures with people and the stone henge in the background.. It gives the human scale to show how big are these stonbe structures..
Stone is one of the wonders of the ancient times, more so that it hold its secrets very dearly..
We all know, there's already a lot of wanna be tomb raiders or Indiana Jones who'd like to have a take on this piece. 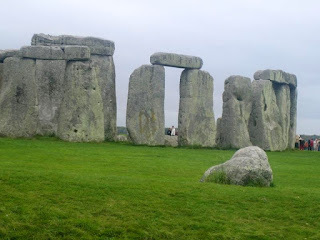 I have a post about my dream destination and it is in England. Surely, this is one of the tourist spots I've been dreading to see! It is likely that I will never be able to visit that place. But glad to learn more about it. Thanks for sharing. This was built by aliens. Human technology at the time of its construction was not advanced enough to build it. Beauutiful place!! I am actually not sure if I will be able to visit that place, maybe never. But the photos are really good, good enough to make me imagine I was in your sister's shoes. haha! always, always dreaming of going to this place... i hope soon. thanks for the info. Yahweh bless. Wow! I'd love to visit this place someday!!! very informative post! thanks for the history lesson! Remarkable! HS and college these stonehenge has been part of World History.